The GU Big Weekend is over but we are ready for our first major tournament of the year. Thanks to everyone that helped to run and organise the weekend. 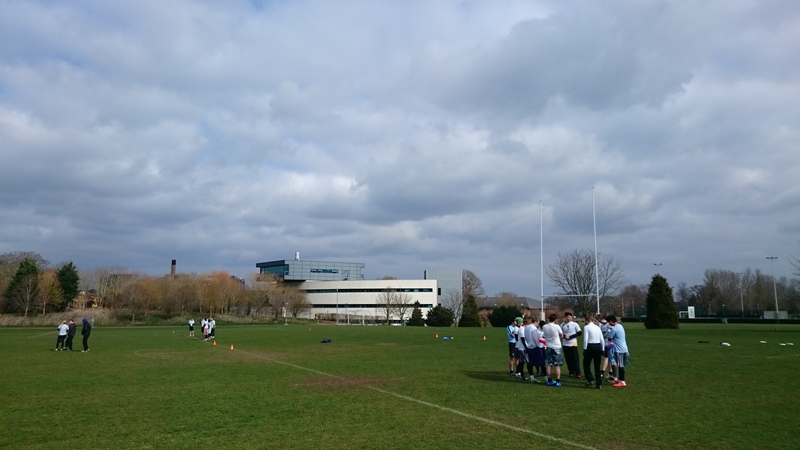 This month we had the pleasure of coaching 2 classes at Charterhouse school in Godalming. The school was very welcoming and the kids really got stuck into the sessions. Thanks to Charterhouse School for inviting us and providing a nice lunch. A massive thank you to Ali Todd, Alix Henry and Andy Lane for running the sessions as well as everyone else involved in the organisation. If you’d like to get more involved in junior coaching this year let the committee or Rick know. More people helping out would mean more input with the kids when throwing and will overall help make sessions run smoothly. We’ll be coaching in more schools this year and really keen get involved as much as we can with the local community this year. If you wish to organise a session please email guildford.ultimate@gmail.com for an queries. Firstly a reminder to all those playing Mixed Tour, please ensure you are all paid up on your club debts, we’re running a “no pay, no play” policy this year. You also need to ensure you are a UKU member and rostered to GU. Please contact Tiger if you have any questions. We will be bringing 2 teams to Cardiff with a final team list coming soon. We are very very close to being able to send 3 teams to tour, which would be great, so if you are on the fence or have friends that would enjoy playing then why not bring them along to training. If your availability changes for the season, you can fill out and update the availability form. The GU Big Weekend is being held the weekend before Mixed Tour 1, which is the 21st-22nd March. It’s going to be THE weekend for gelling and bonding, going over strategy and game play, but we will also be socialising, and really getting to know our team mates both on and off the frisbee pitch. We will be training hard on both Saturday and Sunday but if you can only make one day that fine. Throughout the weekend there will be plenty of banter, friendly competition, frisbee, and potentially even bananas (you heard it here first folks) – we’d really appreciate it if as many people as possible could try to be there. It is with a sad face and a heavy heart I regret to announce that we are pulling out of Paga, for this year.